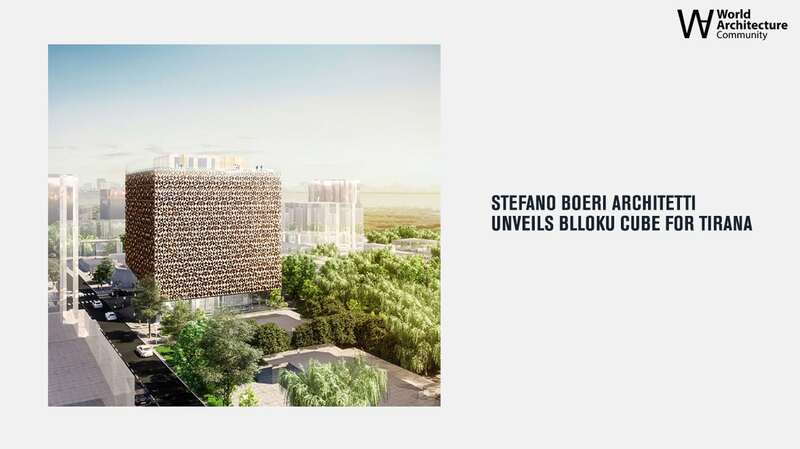 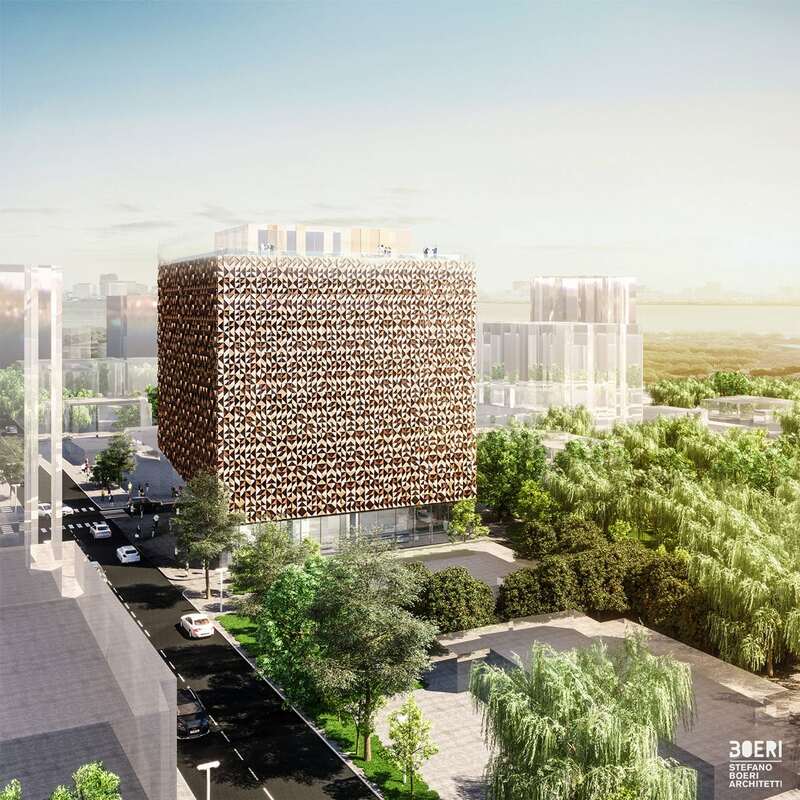 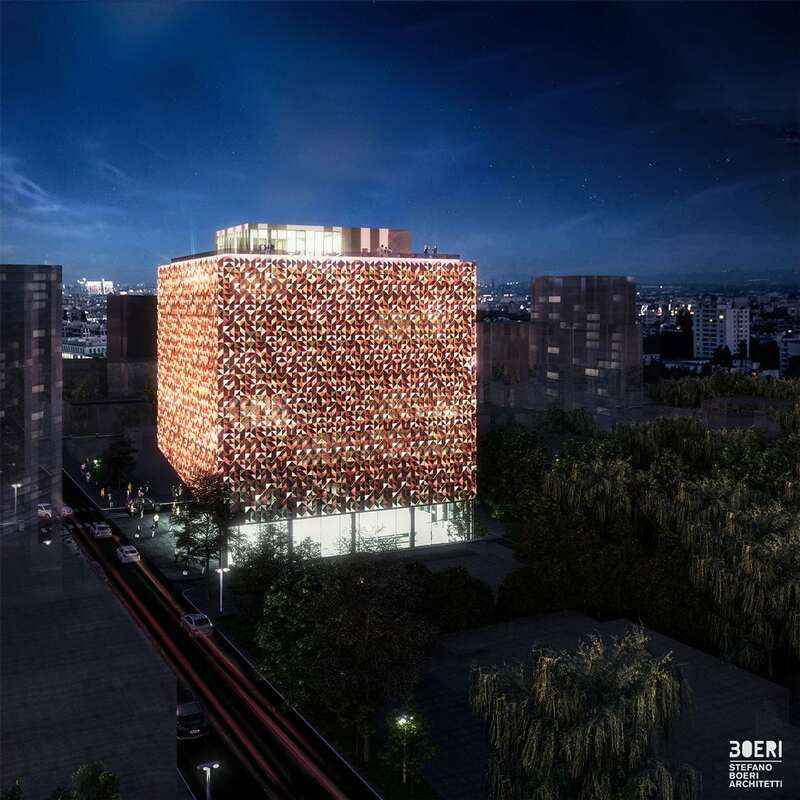 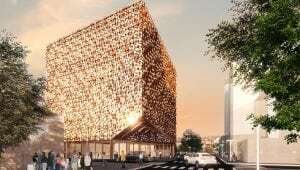 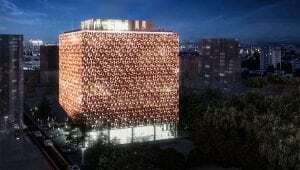 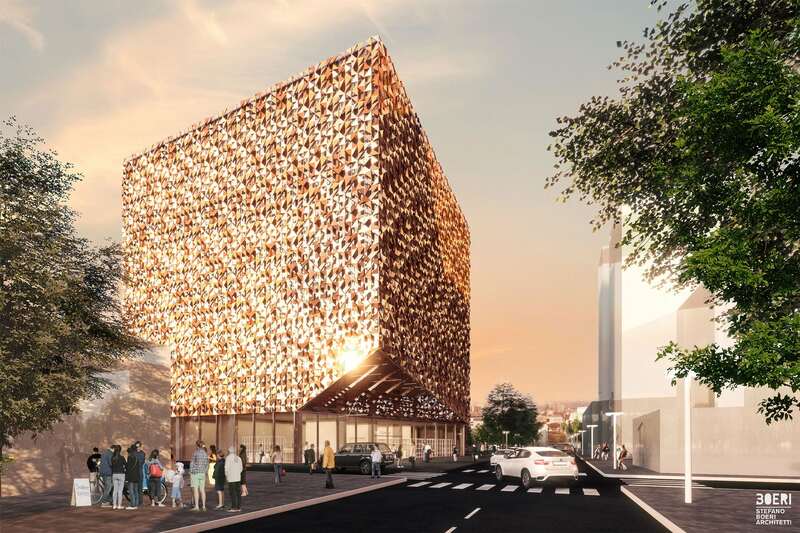 Located in the heart of Tirana, in the same urban district as the historical residence of Albanian Communist Party leader Enver Hoxha, the Blloku Cube is the new multifunctional center signed by Stefano Boeri Architetti, now under construction. 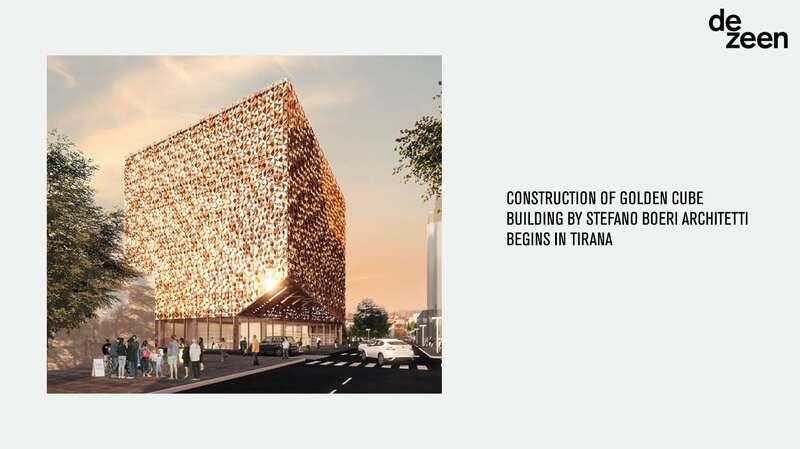 The building stands right on the junction between the streets of Pjeter Bogdani and Vaso Pasha, in the heart of the Blloku, one of the most prestigious districts in Tirana which, in the post-communist era, has gone from being a military zone of restricted access to a nerve center of city life, thanks to the proliferation of facilities, shops, bars and restaurants lining its characteristic and regularly shaped blocks. 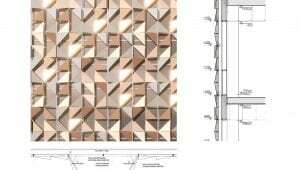 It is on these two streets that the main entrances of the building are positioned, to serve the retail center and the offices. 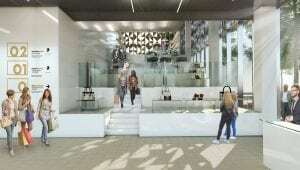 On the ground floor, the square floor plan of approximately 30 meters on each side presents a significant variant: the way in which the corners have been cut in proximity to the crossroads between the street axes and the main entrance creates a semi-covered square as an extension to the sidewalk, in which the uniformity of the paving between the outdoor and indoor spaces invites passers-by to enter the retail complex. 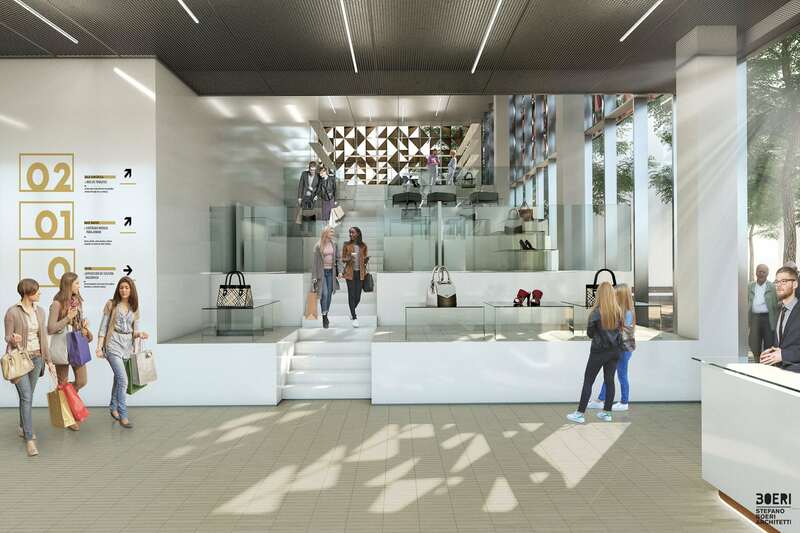 The floor plan variant at ground level extends to the first floor of the volume, also occupied by shops, where the west facade of the building slopes to connect with the floor above, which resumes its regular square shape. 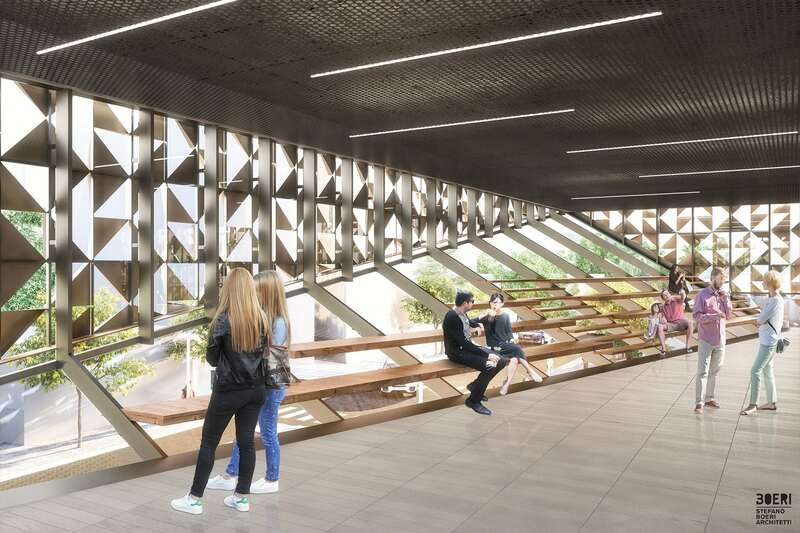 The inclination of the glass facade and its supporting elements create a resting point on a slanting surface where a seating system, literally leaning against the facade structure, offers an opportunity to admire the city and the public area below from an unusual viewpoint. 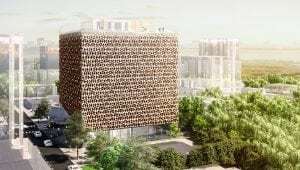 The building continues to rise with its regular square floor plan for another five levels, all of which are destined to be occupied by offices, and is surmounted by a Roof Garden Restaurant on the seventh floor. 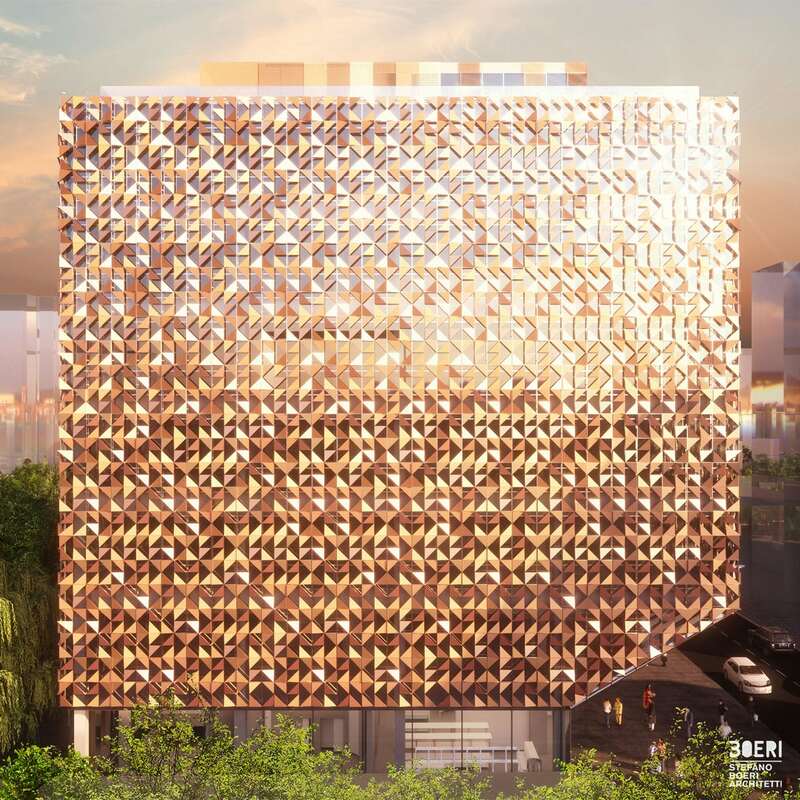 The identity of the building is strongly characterized by a special cladding, a stand-out feature that makes it recognizable and unique in the city skyline and, at the same time, highly performing in terms of thermal efficiency, thanks to a “double skin” technological system. 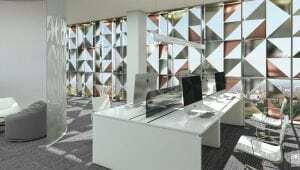 The “first skin” consists in a curtain wall, an uninterrupted glass facade providing adequate insulation to the building in terms of energy efficiency and acoustics while the “second skin” is made up of a sophisticated technological shielding system in anodized aluminum consisting of 110 centimeter square modules, which only obscure the light for half of their surface owing to the presence of three dimensional triangles welded inside. 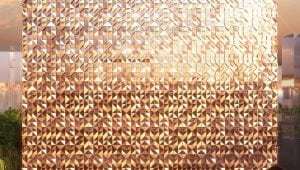 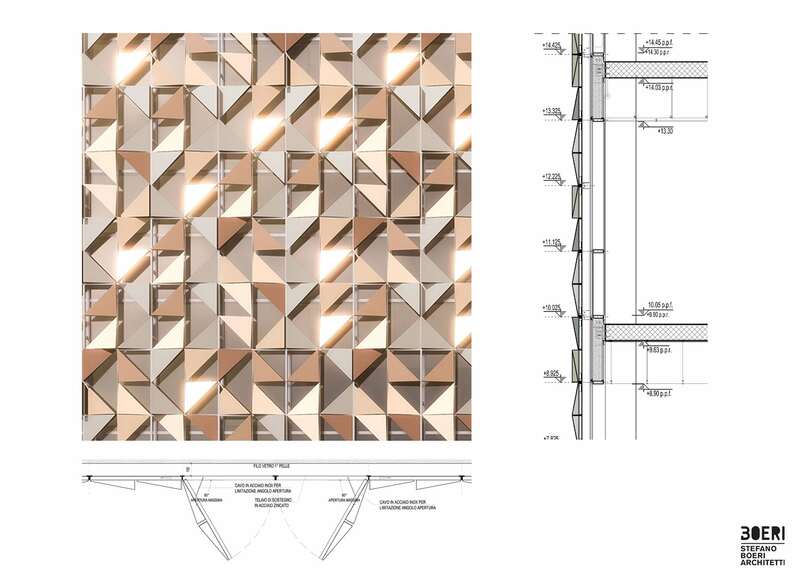 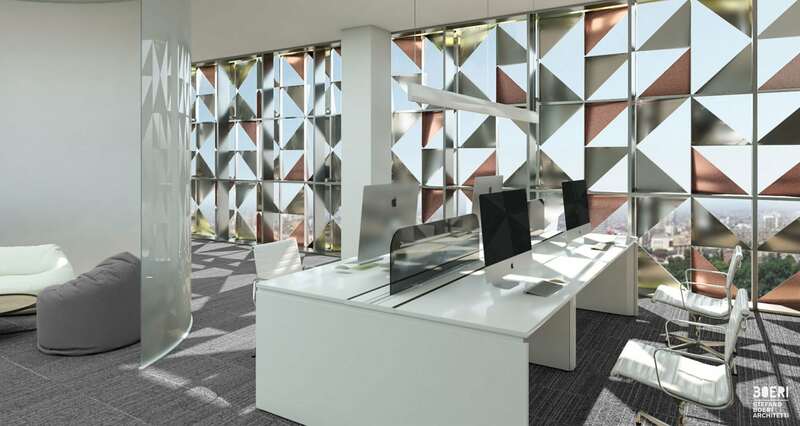 “The resulting effect is that of a vibrant and iridescent surface, a pattern of aluminum triangles playing with the sunlight to create reflections in different nuances of color”, explains Stefano Boeri. 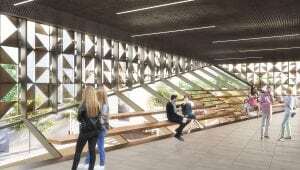 Each of the tiny metal sails making up the facade is pointed in a different direction to filter the sunlight and provide an optimal natural lighting within, according to the programmed use of each space, as well as making it ever unique, thanks to the multiple urban viewpoints it offers. 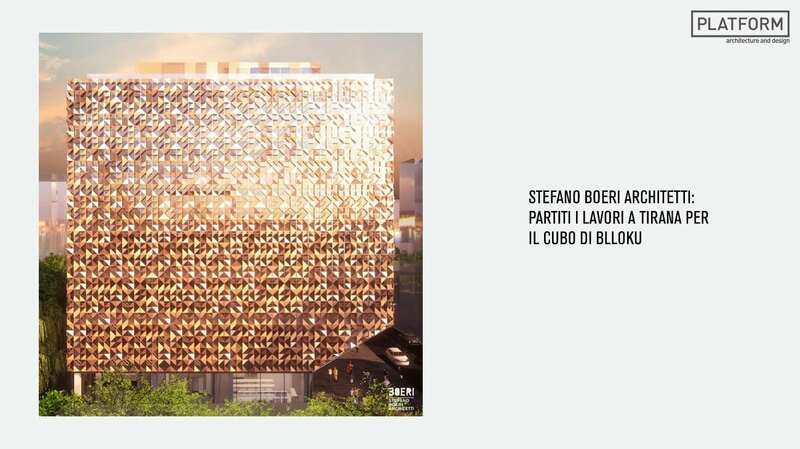 “This particular cladding solution, specifically designed for our first Albanian project, plays an essential role in defining the uniqueness of the building and contributes to underling its importance as a new landmark of this urban district”, adds Francesca Cesa Bianchi, project director for Stefano Boeri Architetti. 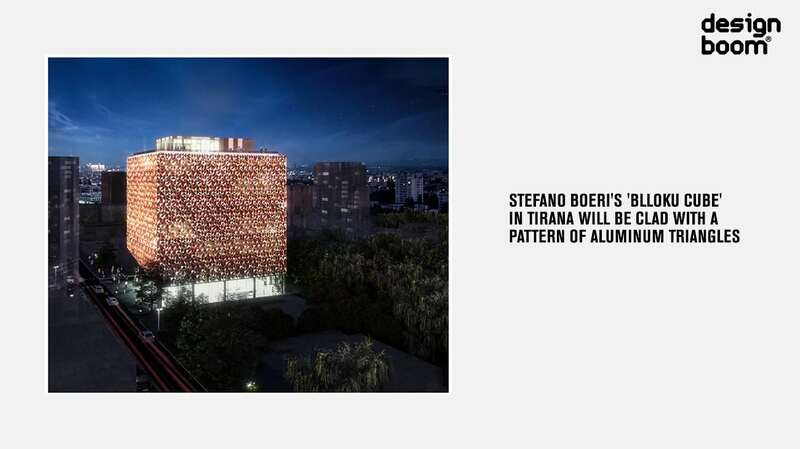 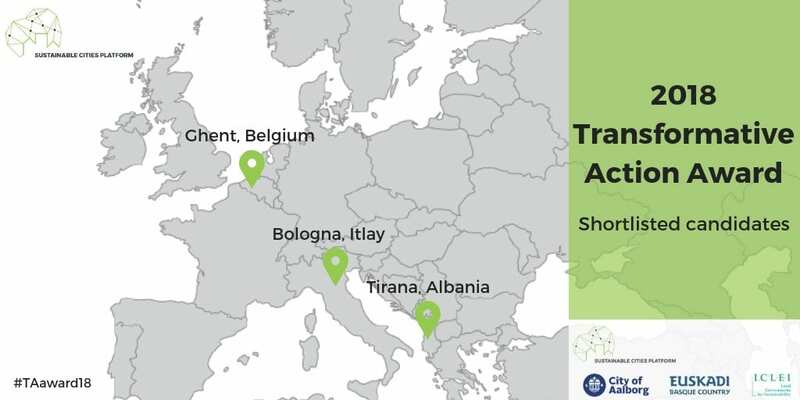 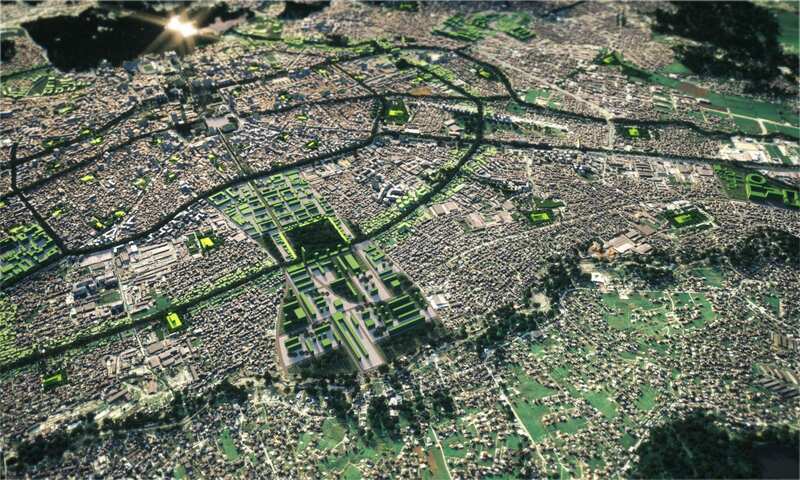 The construction will be entirely managed by the Tirana branch of Stefano Boeri Architetti, which has already put its name to “Tirana 2030”, the new town planning scheme of the Albanian capital with UNLAB and IND and, after winning an international contest, will be engaged in the construction of three schools, destined to become the new hubs of social and cultural activities in the north western area of the city.